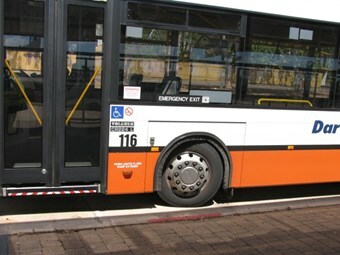 Northern Territory residents living in new suburbs with poor access to public transport are set for some relief, with new bus routes announced. New suburbs in Darwin and Palmerston will soon get access to new bus routes, according to the Northern Territory Government. Northern Territory Chief Minister Adam Giles says the new routes begin operating on July 1 and will service Lyons, Rosebery, Muirhead, Zuccolli and Bellamack. "Better bus services make public transport more attractive for Territorians going about their day to day business," Giles says. Giles says the new suburbs had not been planned for and had been left unfunded. But he says the current government has responded to calls to make it easier for residents in new suburbs to travel to and from work on the public transport system. The route 24 bus will service Lyons, travelling to and from the Casuarina interchange. The route 77 bus will travel to and from the Palmerston interchange servicing Rosebery and Bellamack. Both routes will operate seven days a week, including most public holidays. The services are being funded through an annual allocation of more than $1 million. There are also changes to existing routes 2, 72 and 74. According to government, the new services add to upgrades already undertaken, such as free Wi-Fi, to provide a modern and convenient bus system for Territorians.